Tedford's firing comes with a lot of disagreement and a bit of surprise. Aaron Rodgers has already voiced his disapproval, and Cal hasn't had a more successful coach in my lifetime (or yours, most likely). 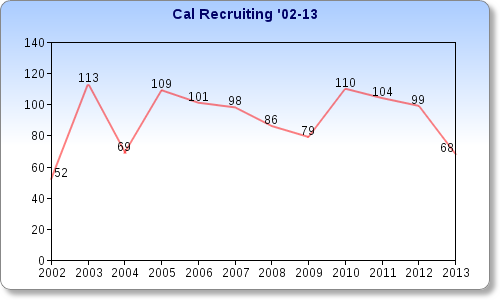 Like most of you, I've known two Cals - the Cal before Tedford, the doormat of the old Pac-10, and the Cal with Tedford, a perennial contender who never could quite get over the hump, but still was good for a bowl game nearly every year. But as we're seeing more and more in college football, even successful tenures can grow stale. And while California's AD cites graduation rates as a major reason for the firing, graduation rates didn't seem as troubling until the team went 3-9 this year. So while the AD says it's not all about football performance, I think it's safe to assume that it indeed is. With our NEPA database going back to 2005, we can examine almost the end of Tedford's tenure, which began in 2002. Tedford, then a new head coach, went 25-13 over his first 3 years, with '04 being arguably his best - a 10-2 season with a #9 finish in the polls. Since that 2004 season, what has happened? First, the offense. Tedford built his reputation thanks mostly to his excellent work with quarterbacks - Trent Dilfer, David Carr, Akili Smith, Joey Harrington, Kyle Boller, and Aaron Rodgers all were tutored by Tedford. The problem is that since Rodgers left, Tedford's biggest Achilles Heel has been quarterback play. In 2005, Joe Ayoob completed less than half his passes. In '06, Nate Longshore had a great season, evidenced in the graph above. Maddeningly, Longshore regressed over his career. He was worse in '07, and worse still in '08. In 2009, Kevin Riley was decent, but he regressed as well. Tedford lured former Connecticut QB Zach Maynard to Berkeley, but Maynard has been a disappointment. As the QB depth chart has slowly gotten worse, so too have the Bears. The defense was far from stellar in recent years, but it was decent enough to send the Bears to bowl games. 2012 saw a complete collapse. 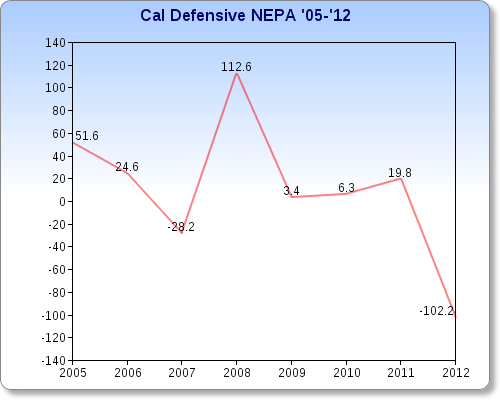 Not only was 2012 the worst offense Tedford had managed since the 2004 breakout year, it was by far the worst defense. That's the recipe for 3-9. Overall, I still think Tedford's offense is what really caused the growing malaise. A bad defensive year will happen every now and then, but for the most part, his defenses were decent enough to contend. Note: these aren't recruiting ranks, these are the # of teams they out-recruited, according to Rivals. 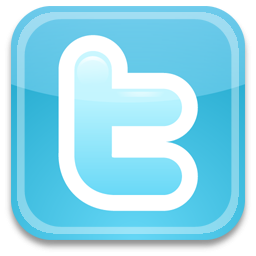 In other words, the larger the number, the better. You see the effect Tedford's 2002 debut had, and the same goes for the 2004 10-2 campaign. I'm not really sure what caused the bump in 2010 - perhaps it's linked to Rodgers' ascension in the ranks among elite QBs? - but for the most part, Tedford's classes were strong and talented. The dip this season is troubling, but it's tied more to the 3-9 record than anything else. Really, it's hard to disagree with the decision, even though Tedford is the winningest coach in school history. 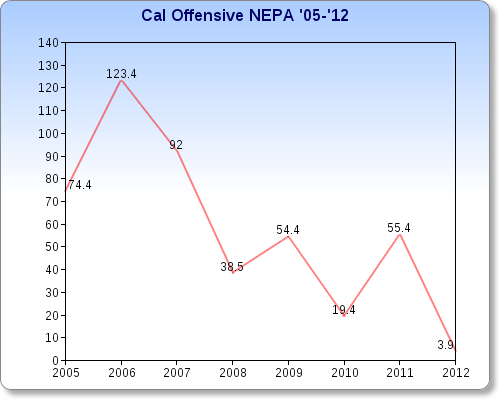 It's been years since anyone really feared Cal, and NEPA shows a sharp decline in recent years, especially on offense. Cal AD Sandy Barbour may point to graduation rates as her reasoning, but she shouldn't be afraid to just tell the truth: Jeff Tedford, while once a very good coach, just wasn't keeping up in a quickly evolving Pac-12. What if we had a tournament?